This project is based in the process of the enrolment of the possibility to construct a zone of zero gravity in the entrance area of metro station/s of Madrid, as an aesthetic experience in public space. The idea is based in the possibility to create an access to a quite unusual physical experience – as weightlessness- is for nearly all of us, accessible for basically everyone in the context of zones which are frequently used by many people as the public transport. On a more metaphorical understanding the underground systems of metropolis itself have there mystical implications. The idea of a zero gravity somehow connected to the idea of escape in general and searching for new sensations for common grounds. It is about creating a zone – where our normal parameters of orientation might be challenged and we need to search for new points to establish a different perspective. The question might occur from where and of what. Beside the possibility of a physical experience it is also referring to the possibility of an mental experience and a thinking experiment as such. From the initial idea of constructing this zones of zero gravity we started to develop a dialog via mails about what this aesthetic experience would imply and where it could lead to – and if we think it is “necessary” at all or if there are other ways to share this idea. This philosophical reflection and contestation of the idea itself intends to be an invitation to the reader to follow this experiment in thinking. The Dialog includes the enrollment of the project itself and at the same time a somehow philosophical reflection about it. 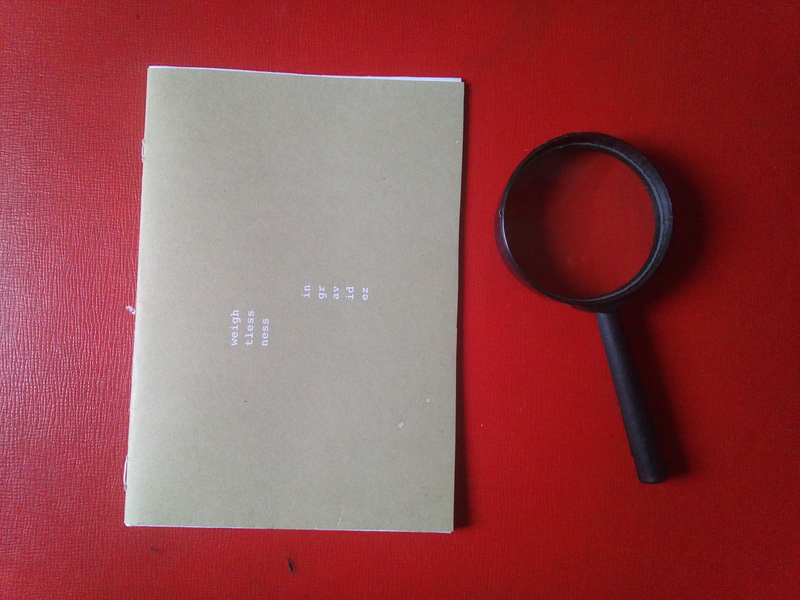 Instead of proposing to construct zones of gravity as the initial idea proposes the result is a small booklet which contains the verbal and visual exchange between us.Printed in a small booklet the idea is to distribute it in the metro line Nr. 6 in Madrid, to be found, taken and read by people who choose to read/look at it. Hakim Bey: T.A.Z. : The Temporary Autonomous Zone, Ontological Anarchy, Poetic Terrorism. Autonomedia, Brooklyn, 2003. Huizinga, Johan: Homo ludens; a study of the play-element in culture. Boston: Beacon Press, 1995.